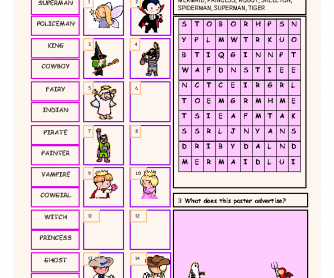 Students are asked to match some pictures with some words related to Carnival, find some other words in the word search, and break a code. 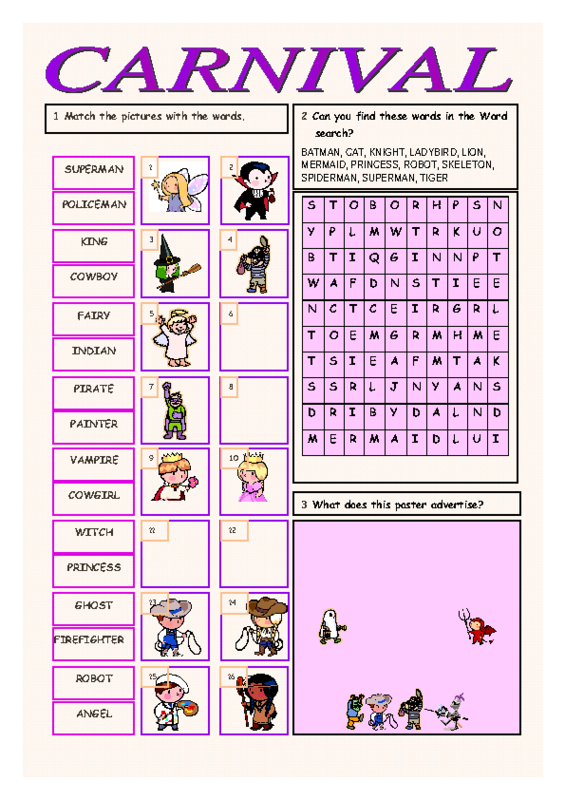 The worksheet can be used for teaching and revising vocabulary related to Carnival. Key is included. The worksheet is dedicated to my son Tom, who died in 2014.